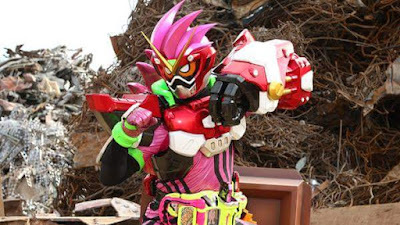 Here are the action clips from the 5th episode of Kamen Rider EX-Aid featuring the debut of Kamen Rider EX-Aid's Level 3 Form and the big reveal about Kamen Rider Genm's secret identity! I can't watch the video rn. Tell me who the heck is Genm?! @God Zilla: Don't want to spoil it for everyone but, it's Kuroto Dan. Not too surprised actually.